In France, Anne de Solene is a name synonymous with quality and excellence. For over four decades, the brand has been creating luxury bed and bathroom textiles that capture the essence of traditional French design, while boasting the use of premium materials like cotton, linen and satin. Anne de Solene textiles will fill your home with joy, charm and a sort of refined sophistication that only authentic French detailing can achieve. With such a broad catalogue of beautiful, timeless designs to choose from, you will love coming home to Anne de Solene for years to come. Their French made Vexin sheets will transform your bedroom into your own haven of European tranquility. Woven from premium 200 thread count percale cotton, Vexin sheets have been specially treated to make cleaning and ironing easier. The shrink proof and fade resistant material will maintain its quality and colour intensity wash after wash, so even years later, your sheets will look and feel as luxurious as the first day you brought them home. 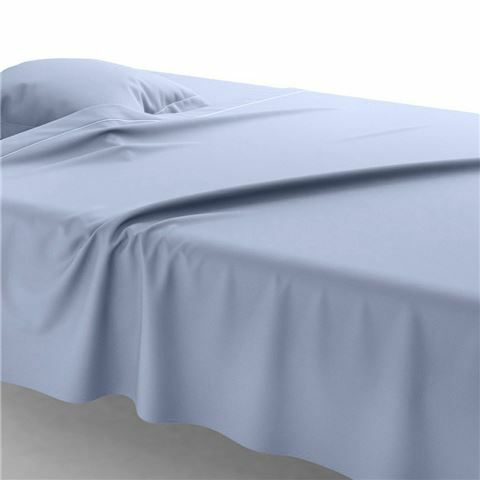 Made from premium percale 200 thread count cotton. Coloured from colourfast, fade resistant dye. Machine wash and tumble dry recommended. Designed to be mixed and matched with other Anne de Solene collections.